You climb into your cold car, sit on the icy cold seat, turn on the heat – and you wait. This unpleasant reality is common in winter. But it doesn’t have to be this way. A couple of clever solutions can change that reality. To feel comfortable on the move, a pleasantly warm interior is essential. 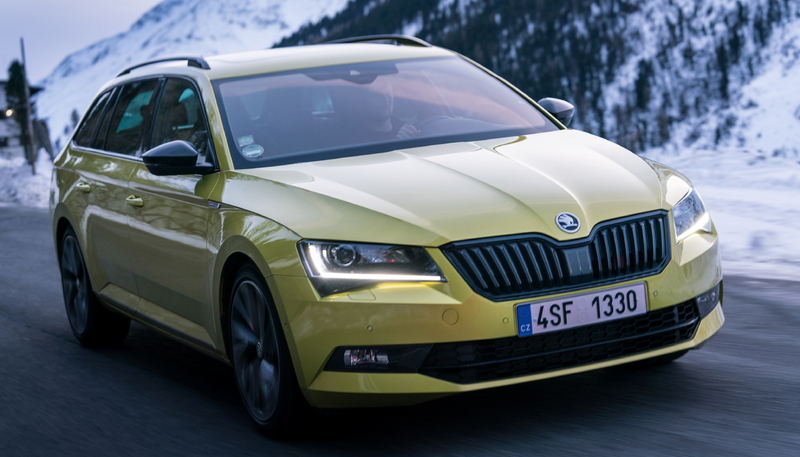 Modern ŠKODA cars aren’t content with just traditional heating. Have you tried yet driving a car with a heated steering wheel? For more comfort, there are also heated seats. And a heated windshield and heated rear-view mirrors will make your journey safer. Independent heating with remote control will allow you to warm up your car beforehand. You will never yearn for the days of climbing into a cold car. With all the extra tasks that winter requires, you will appreciate the quality of the car’s accessories even more. So that a window scraper is always close at hand, one is located inside the fuel tank cover on all ŠKODA vehicles. A smart solution for winter and all yearlong is seen in the umbrellas sensibly stored within the doors of the vehicle. If you are out and about without having waterproof clothing, you will certainly appreciate their protection from rain or snow. Have you ever been stuck in snow while traveling? For just such situations, it is always good to have a shovel in your car for digging yourself out. Afterwards, you can return the wet and dirty tools to the boot without worrying about getting anything dirty, because its interior is protected by a rubber insert with a raised edge all around the perimeter. If need be, you can lift the dirtied rubber unit right out and easily wash it with water. For more information or to watch the video CLICK HERE. Or to book in for a service check up, CLICK HERE. Being an experienced driver does not make you immune to wintertime surprises on the road. An icy surface or layer of snow on the road requires a different style of driving than during the rest of the year. So, don’t forget about a few basic winter rules. Check what is the temperature outside before setting off. You don’t even need to look for a thermometer or access the internet, because every modern car can show you the temperature. Is the temperature below zero? The reasonable reaction is to put on a coat, but it is highly recommended to take off your jacket and cap before driving. Then let the car’s heating system create temperature conditions that are ideal for you. Comfort can be further enhanced by heated seats, a heated steering wheel, and a heated windscreen. Any shiny surface reflecting a lot of light should be a clear sign for the driver to be extra attentive. To test the condition of the road surface, step gently on the brakes to check if the road is slippery. Bridges can be particularly treacherous, because their surfaces begin to freeze at higher temperatures than do other roads. You should pay closer attention also on stretches of road underneath bridges. Having a well-equipped vehicle will help you to manage emergencies and situations like going into a skid. The ŠKODA KAROQ, has four-wheel drive. Of course, it also has the ESC stabilization system that provides even better control of the vehicle, such as when passing over a slippery surface or negotiating a faster turn. Do you park your car outside overnight in winter? Here are a few tips to make your mornings go better and ensure that you and those around you have safe journeys. The windscreen wipers are definitely one thing to attend to once you’ve parked your car. To avoid having them frozen to the windscreen, be sure to lift them up a little in the evening or place something beneath them. Damage to the wipers can occur if the wipers will be forcibly jerked free from the windscreen in the morning. The wiper motor might even be damaged if the wipers are prevented from moving freely. Don’t like scraping ice and snow off your windscreen? Neither do we! This unpleasant process can be avoided if you cover your windscreen for the night. Although even a common cotton fabric provides some protection, the ideal solution is an aluminium cover. Affix the cover on both sides by closing it into the doors and slide it under the windscreen wipers. That way, everything will stay in its place and the wipers definitely won’t freeze to the glass anymore. You can protect the windscreen from frost using a cover, but it is also important to think about the rear window and all the other windows. Having a small snowbrush and an ice scraper at hand is also useful. You will find an ice scraper inside the fuel tank cover on all current ŠKODA models. Low temperatures, icy surfaces, diminished traction. Winter is in full swing, and several hazards are lurking out there for motorists. Here are some tips on how to prepare properly. First of all, it wouldn’t be a bad idea before the beginning of the winter season to take your car in for a comprehensive service check. The technicians will examine your brakes, lights, wipers, battery, and the levels of all your fluids. All this comes usually at a special discounted price that will not be too burdensome on your wallet. You’ll drive away afterward feeling reassured that you are fully prepared for winter roads. Don’t forget about winter tires. From your tires’ perspective, winter starts as soon as the temperature falls below 7°C. Summer tires’ grip on the road gets significantly poorer as the temperature goes down, because the rubber compounds used in summer tires become hard and traction is much diminished. Keep plenty of windscreen fluid and fuel.